Time for another Cybils YA Speculative Fiction finalist. I'm afraid it will be time to start the next Cybils season before I finish writing about this one. 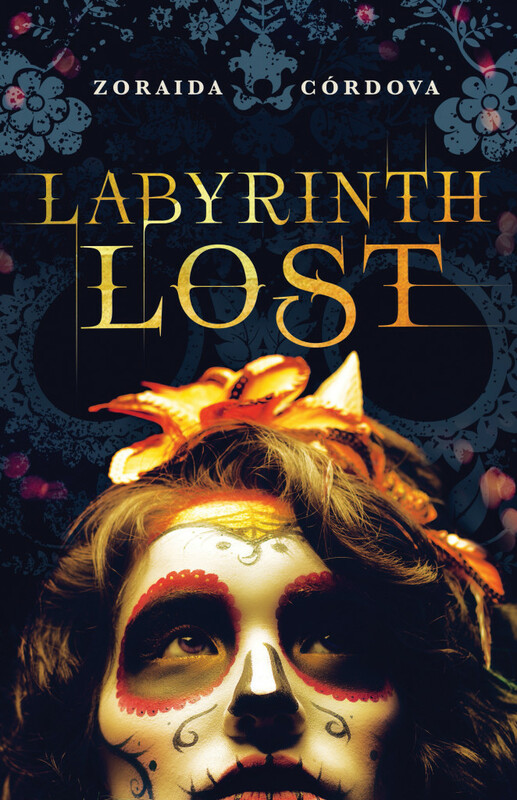 Today, lads and lasses, I am going to tell you about Labyrinth Lost (Brooklyn Brujas) by Zoraida Cordova. Labyrinth Lost, like The Door at the Crossroads, is set in Brooklyn, at least in the beginning. (Brooklyn must be teeming with magical stuff.) It had an urban fantasy possibility, with a family of witches (brujas) existing in a contemporary urban world. That changes, though, when main character Alex, who hates this magic business, tries to shed hers. Instead, she sends her family into a fantasy world that she has to enter in order to save them. She's accompanied by a neighborhood boy she doesn't know very well, but one who knows what's going on with her and her family. And they're eventually unexpectedly joined by one of Alex's friends. So do we now have one of your classic trios on a journey? Well, yes and no. A Latin family and the beginnings of a lesbian romance with a cliffhanger ending.